We are looking at comic books two lists in a row, this thing must be rigged…. and that’s okay! I am here to convince you that Rocket Raccoon is probably the most comedically underrated comic that is out there and that Saga is a far second. After the greatest Marvel movie that has ever existed came out, we were also all introduced to the best character that has ever existed: Rocket Raccoon! A little furry bundle of destruction! I was first introduced to the Rocket Raccoon comic by my friends at a BBQ. they were talking about one select adventure he had went on that consisted of Rocket saving a princess, getting framed for murder, and then getting attacked by 1,000 old ex girlfriends. Suffice to say I was immediately interested. Rocket has made me realize that I don’t dislike the 4th wall breaking characters (read Deadpool) nearly as much as I thought. When done correctly and in the right setting, it is perfection, which is what this comic does. 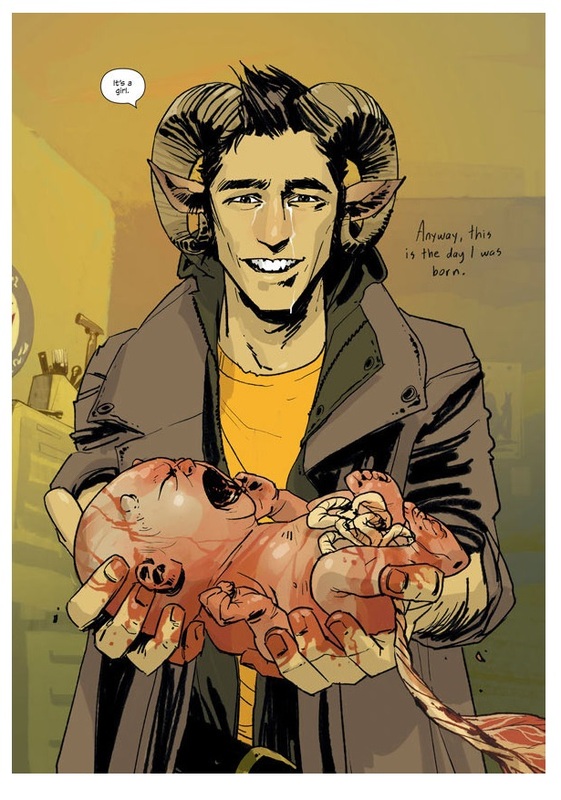 Saga is an amazing comic; however I fail to see how it has much comedic value at all. The story is gritty, violent and intense. each volume leaves me wanting more, but I do not think it is funny. Fantastical? Yes. Epic? Yes. Hilarious? No. If anything the Romeo and Juliet-esque story is a story of sadness peppered with a small bit of personal triumph. This is what makes it a great read, not it’s witty humor or funny characters. Don’t worry little mutant baby, it isn’t your fault! Lets get back to a less serious, more light-hearted topic: story telling. Both comics do a great job of character building and development, but Rocket does it with an air of humor. For instance, there is a panel where they are escaping a prison and the artist turns it into a funny little maze for the readers to follow. This is the kind of cheeky story telling element that this comic uses to keep it fun. Do not fear! There are no baby-kidnapping, sock-stuffing goblin kings in this maze. 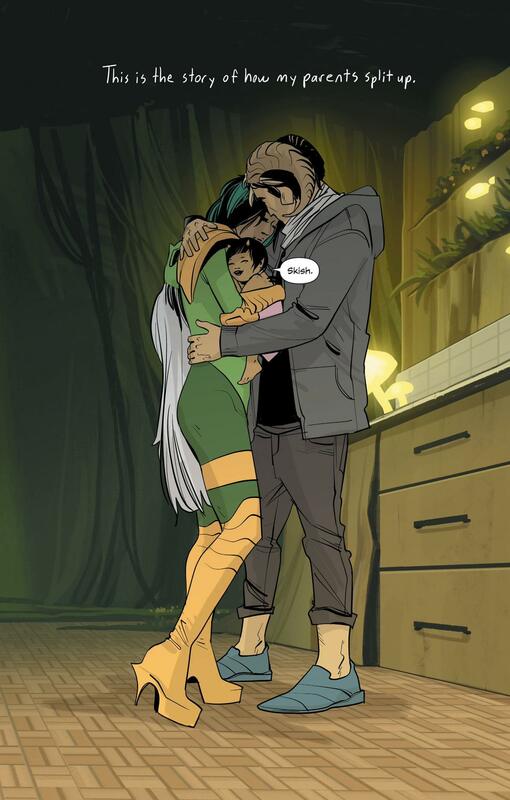 Now by no means am I saying that Saga is not artistically pleasing, because it is, just not in a humorous way. The art looks amazing but the topics covered in the art are far from comedic. Hey! Check out this baby I found in the Italian restaurants dumpster. All in all they are both fantastic comics I just think that Rocket Raccoon was written purely for humor and fun and Saga is something far more epic and meaningful. 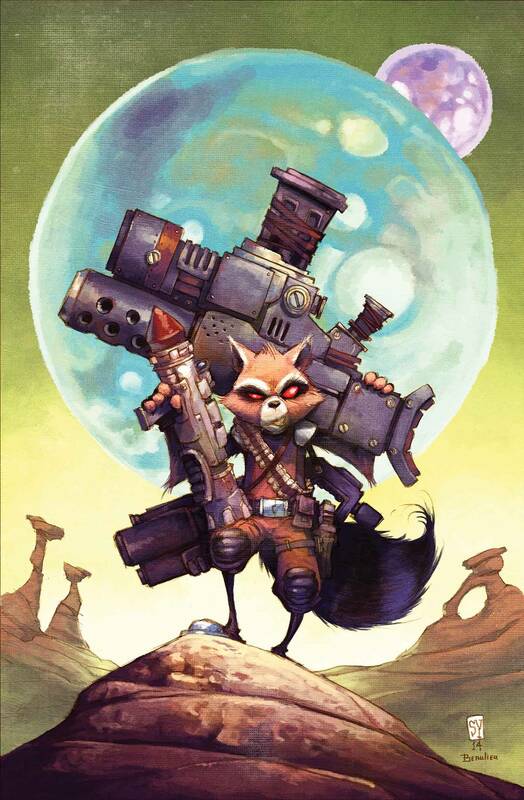 I would highly suggest both as underrated comics, but if you are looking for a light, funny read each month go for Rocket Raccoon. I am going to leave you with this. 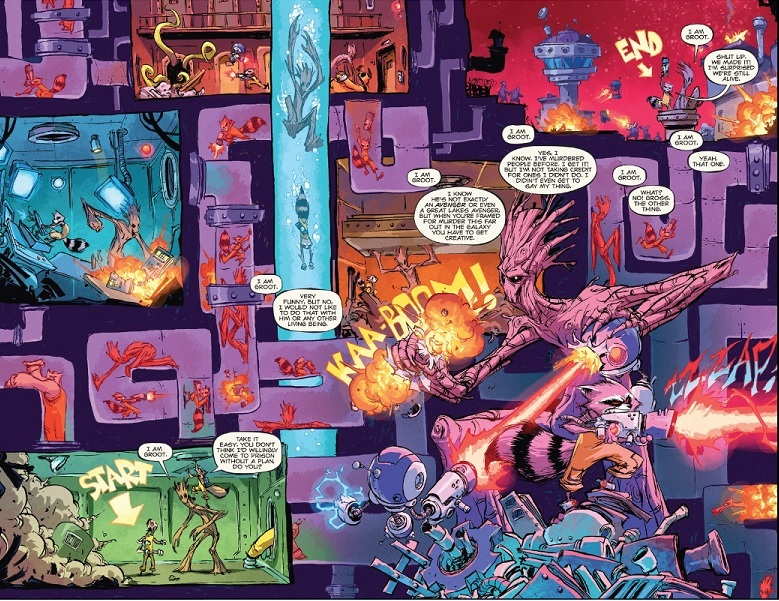 Rocket Raccoon has an entire issue where Groot tells a story about Rocket and him going treasuring hunting.